Easily one of the coolest new artists to emerge from the local scene in recent memory, and responsible for, without a doubt, one of the best records of 2018, Soccer Mommy, the musical outlet of Nashville songwriter Sophie Allison, has had a huge, buzzworthy, and accomplished year. It’s only fitting, then, that she’s winding it down with one last hometown headliner, Dec. 15 at Mercy Lounge with locals Dream Wave and Motiongazer. One of the last big December shows on our radar, tickets for this must-see outing are still available right here while they last! We’re also excited to announce that we’re giving away a pair of tickets to one lucky fan, so if you’d rather leave it to chance, read on for more about the show and enter for a chance to win below. It’s only been a couple of years since local artist Sophie Allison first felt emboldened to embrace a lifetime of songwriting prowess, and released her introductory crop of bedroom recordings online under the moniker Soccer Mommy. Fresh out of high school, the young singer’s knack for crafting laid back, raw, and emotionally resonant songs helped her immediately plug into the flourishing Nashville DIY scene and generate broader interest, before soon relocating to New York to attend NYU and committing to foster her art from afar. 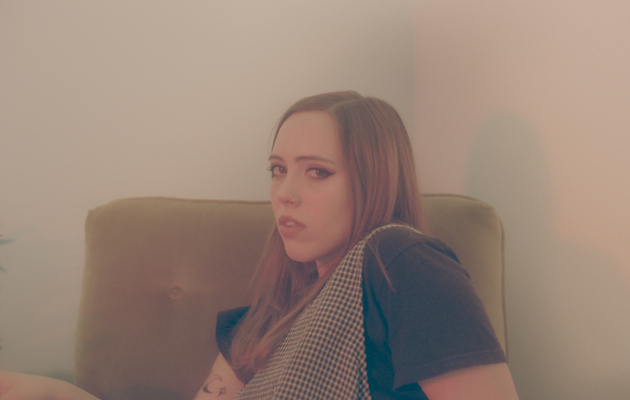 As Soccer Mommy’s buzz continued to grow, Sophie inked a deal with Fat Possum Records, who released Collection, a chilled-out and loosely focused culmination of her lo-fi bedroom pop, last year. In the months since, the project has gained an unprecedented amount of traction, leading to Allison’s decision to put school on pause and return to Nashville to make Soccer Mommy her full-time focus, all the while touring the nation and sharing the stage with some big names like Paramore, Slowdive, and Mitski, and opting to take a more formal studio approach for the first time in crafting her gorgeous new effort, Clean. Released earlier this year, Clean delivers on the promise of the foundation laid by all of Soccer Mommy’s earlier work, maintaining the intimate, nuanced, and profoundly personal approach, which lands with an emotional weight and effortless cool that makes the 20-year-old up and comer one of indie rock’s most essential modern acts. Though sonically distinct, Soccer Mommy’s fast ascent and critically lauded career trajectory seems to be mirroring that of fellow former local Julien Baker, and, like Baker, Sophie’s the real deal, earning ubiquitous praise for what is, without a doubt, one of the year’s most incredible albums. The musical outlet of local artist Kelton Young, a friend and sometimes collaborator of Soccer Mommy’s, Dream Wave adopt an even-more chilled out and shoegazing bedroom pop sound, with a layered, enchanting, and lovely vibe that has made them a staple of Nashville’s underground, regularly popping up on bills around town at houses, dives, and DIY events. Dream Wave’s output has been astonishingly prolific over the past few years, and a brand new EP, My Journal, just arrived ahead of the promise of a full album. The experimental, indie/noise/post-rock project of Julian Powell, who also plays guitar for Soccer Mommy, Motiongazer is yet another cool fixture in the local DIY scene. Name-checking influences like Swans, My Bloody Valentine, Captain Beefheart, and The Flaming Lips, Motiongazer is definitely more avant garde than Soccer Mommy and a bit more esoteric than Dream Wave, but, nonetheless, fits the vibe just perfectly. We haven’t seen this act on a lot of bills (though, admittedly, maybe we haven’t been looking at the right ones), so show up early and see what they’re all about! Winner will be announced Friday, Dec. 14 at 12 p.m. CST, and will receive one pair of tickets. Good luck! Win Tix to Soccer Mommy at Mercy Lounge! Soccer Mommy, Dream Wave, and Motiongazer will perform Saturday, Dec. 15 at Mercy Lounge. The show is 18+, begins at 9 p.m. (doors at 8 p.m.), and tickets are available to purchase for $15.